UMA’s Nursing Programs will prepare you with skills in clinical practice, communication, critical thinking and writing, research, and leadership. 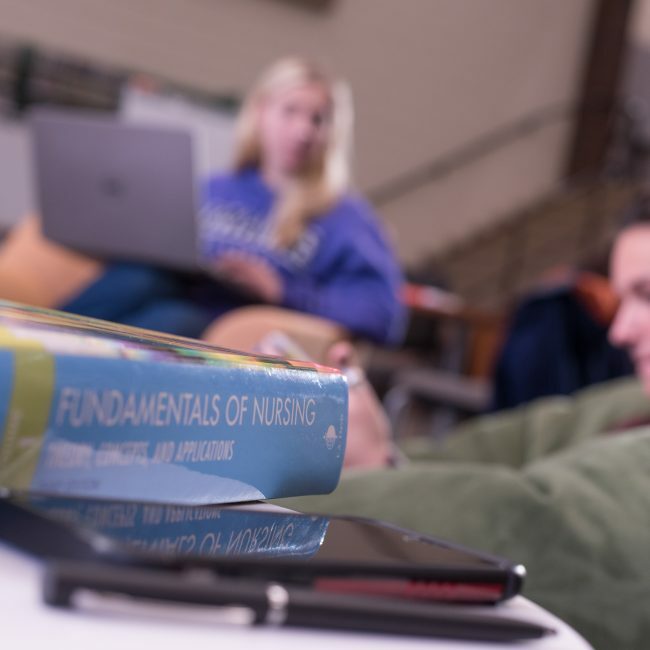 The Bachelor of Science in Nursing (BSN) is rapidly becoming the preferred educational credential for registered nurses, and we are delighted to help students earn this credential in the Central Maine region. A program for registered nurses with their Associates Degree, our RN Completion Program offers a combination of fully online and blended learning courses. With a holistic approach and blended format, you will transform as a nurse and earn the qualifications necessary to take your career in new directions, to assume professional leadership positions, to adapt to the changing nature of health care and health care roles, to integrate the new science of informatics into your practice, and to pursue a graduate degree. New for Fall 2019, UMA is offering a new track withing the Nursing program that is a 4-year pre-licensure track. This rigorous program will prepare students to sit for the NCLEX and enter the field as registered nurses. More information will be posted as it becomes available. Please check back soon! The Partners in Nursing Education (PINE) Bachelor of Science in Nursing program is a collaboration between the University of Maine at Augusta (UMA) and the University of Maine at Fort Kent (UMFK). The curriculum is provided by UMFK and taught at UMA’s Augusta campus and online. Admission to the University of Maine at Fort Kent Nursing Program offered on the University of Maine at Augusta campus (PINE) ended with the fall 2018 semester. Second, third, and forth year students who are currently enrolled in the program and who are in good academic standing will have the opportunity to complete the UMFK Nursing Program at the University of Maine at Augusta as scheduled.